Roof replacement involves significant expenses and careful planning. You need to hire professional roofers and select your desired roofing material. Before you pursue this big-time project, take time to set up your budget to avoid overspending. Custom Installations Inc., your local roofing and siding contractor, offers some important tips on budgeting a roof replacement project. In setting up your roof replacement budget, collect estimates from various contractors. This part is easy because you can gain most of them free of charge. The cost of materials and labor will often differ for each quote you get. It would be wise to find their average before deciding on a contractor to work with. Roofing materials can be asphalt shingle, wood shakes, plastic polymers, concrete, or clay. Each of them is unique in function and aesthetics. Budget the project based on their varying costs, level of upkeep, as well as your home’s type and location. Custom Installations Inc.’s roofing services can recommend what’s best for your budget. From the get-go, you would like to imagine that the project will go according to plan. Many projects, though, do not due to financial setbacks. Delays due to shortage of funds can be very frustrating to deal with. Before you start, set aside an ample amount as a contingency. If you can absorb an extra 20% in unforeseen expenses, you should be in good shape. A roof replacement project may not always be the answer. Let your trusted roofer check your current roof’s serviceability. Have it inspected—it may surprise you that all that’s needed are minor repairs. You can then keep your money for a future roof replacement. 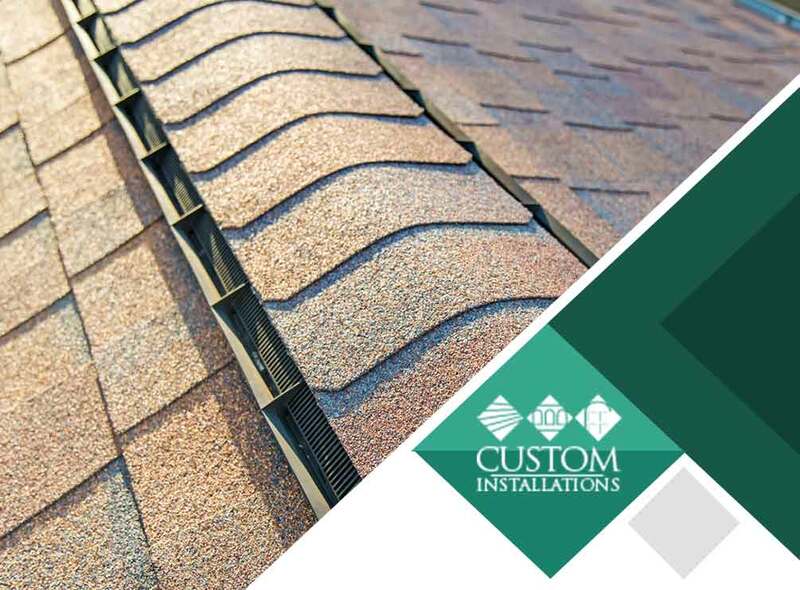 Custom Installations Inc., delivers excellent results for asphalt, slate, tile, cedar, or metal roofing. We’ll be happy to guide you in terms of budgeting your project. We serve Northbrook, IL. Call us today at (847) 979-5522 to request a free quote.